I am recovering well, but I still have trouble standing for more than about 7 minutes. So yesterday, Brett and I decided to drop into the grocery store. 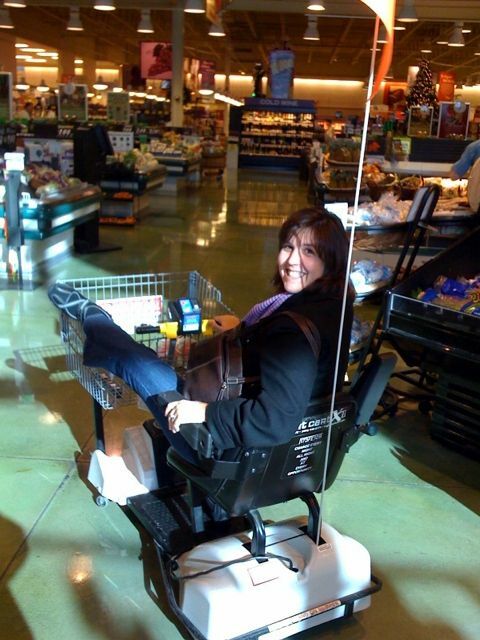 And I decided to try out the motorized cart… Big Fun!!! 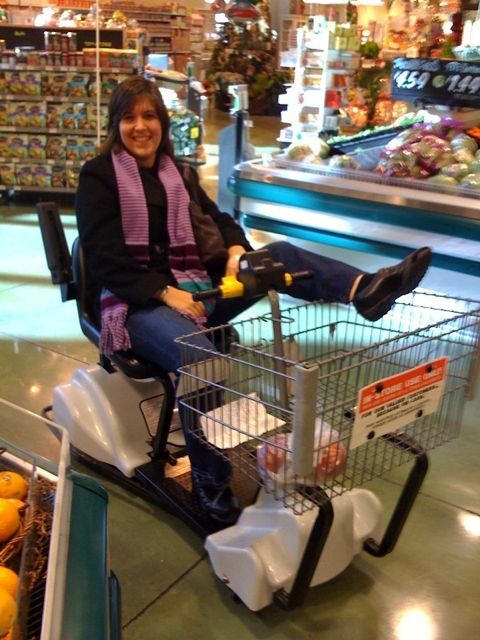 Here’s a pic of my adventures at the store with Brett.